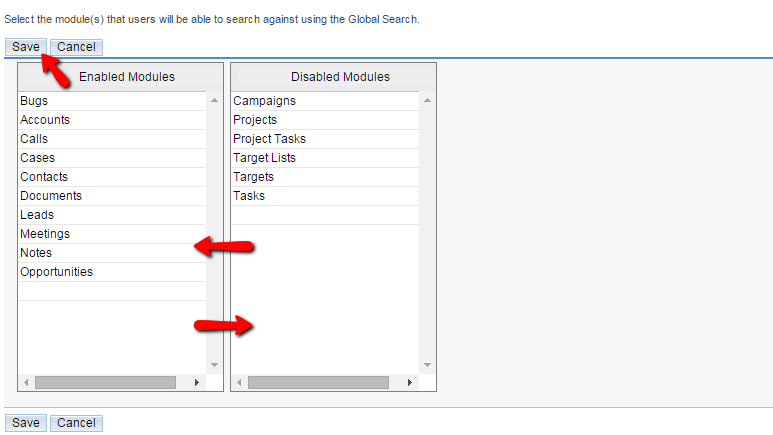 The global search module is the actual Search feature for your SugarCRM instance which is displayed in the upper right corner of the User Interface. The configuration of that module is relatively simple and in the next few lines of this tutorial we will show you how exactly it should be handled. The page where you will be able to configure the module is available under the Admin area of your SugarCRM CE instance once you login. Then under the System section you will be able to locate the Global Search link. Clicking on that link will directly lead to the configuration page for that module which we will review and discuss in the next step of this tutorial. The page structure and the entire configuration of the module is relatively simple once you understand how the configuration and the module actually work. As you can see there are 2 section of modules - Enabled and Disabled. In the first one you will find the enabled and in the second one you will find the disabled modules. This delimiter is needed as in these sections are the actual modules your SugarCRM CE will search into. 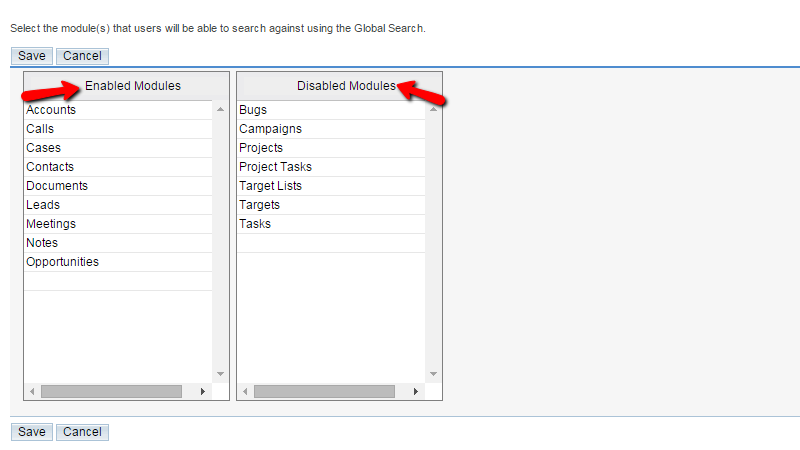 Thus if you would like to add a module which should be searched when a user inputs a search term simply drag-and-drop the module from the Disabled section into the Enabled section and the opposite if you would like to remove some module from the search locations. Once you are ready please click on the Save button located right above or below that interface so you can save the performed changes. Congratulations! 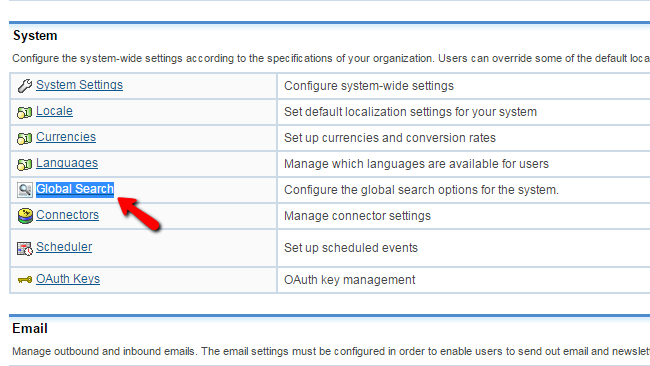 You are now know how to configure the Global Search Module of your SugarCRM Instance!